Windows Phone has overtaken Apple iOS to become the second most popular mobile operating system in Italy. Microsoft's mobile operating system now accounts for ten per cent of the market in Europe's five largest markets according the latest figures from Kantar Worldpanel ComTech. The figures were released on Monday. According to Kantar, most of the growth has been driven by strong sales of Nokia smartphones. In Britain, the operating system still lags behind Apple's iOS. Apple's mobile operating system accounts for 27 per cent of the market, while Microsoft accounts for 11.4 per cent. However, Apple's share is expected to increase dramatically over the next quarter due to the launch of the iPhone 5s and iPhone 5c in September. 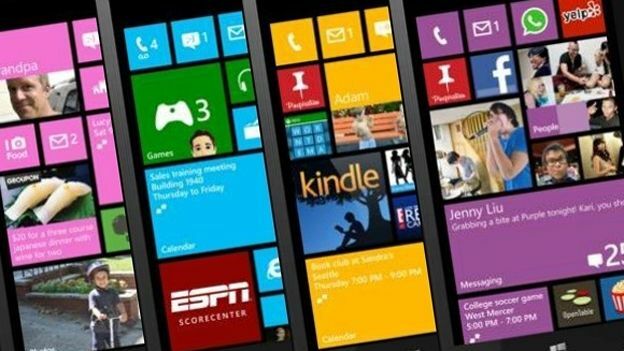 Microsoft's Windows Phone has also been making strong gains in emerging markets like Latin America, the company said. “Windows Phone, driven almost entirely by Nokia sales, continues to make rapid progress in Europe and has also shown signs of growth in emerging markets such as Latin America,” Kantar said. However, despite that, the operating system is still massively behind the adoption of Android in Europe. According to Kantar's latest figures, Android still owns 71.9 per cent of the market. That is up 4.2 per cent compared with the same time last year. In Britain, it accounts for a lower – but still dominant – 58.4 per cent. Its figures also revealed that Android owns 81.1 per cent of China's smartphone market. However, there was more bad news for BlackBerry. It has seen its market share fall to 3.1 per cent off the back of poor sales of its new BlackBerry 10 smartphones like the Z10.